Nobody loves a good bowl of soup better than my family, but sometimes you gotta shake it up a bit! Enter a Thai recipe for chicken soup. It may be cold outside, but this soup is warm in more ways than one. My youngest son has started to like curried dishes. He has always liked spicy things…starting with Wasabi peanuts and went from there. 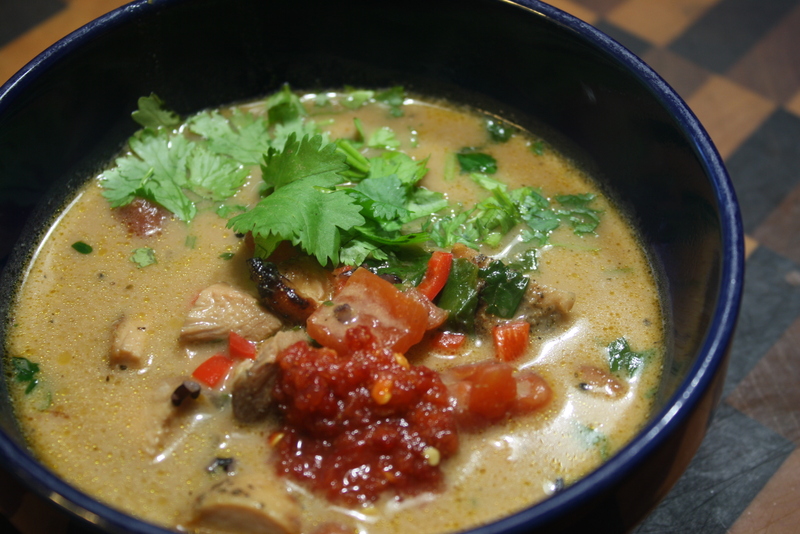 You can easily control how hot the soup is by how much curry paste you use. The green paste is not as hot as the red one. 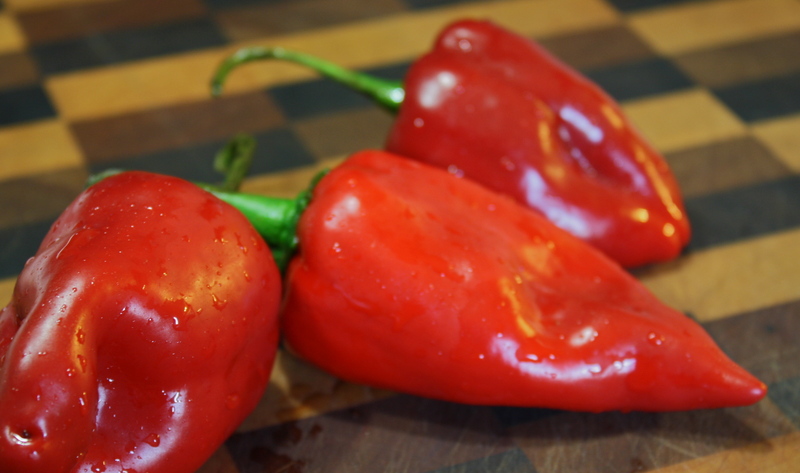 You can also use a sweet or hot pepper. The heat is rounded out with the creamy taste of coconut milk and the subtle sweetness of the black rice. Forbidden rice or Chinese black rice should be rinsed well before cooking and should be cooked in a separate pot because it bleeds out red into the water or broth. This will give the soup an unappetizing color. You can always use a brown basmati or jasmine rice if you can’t get the black rice. Using my grilled chicken makes this a fast and tasty meal in less than 45 minutes. 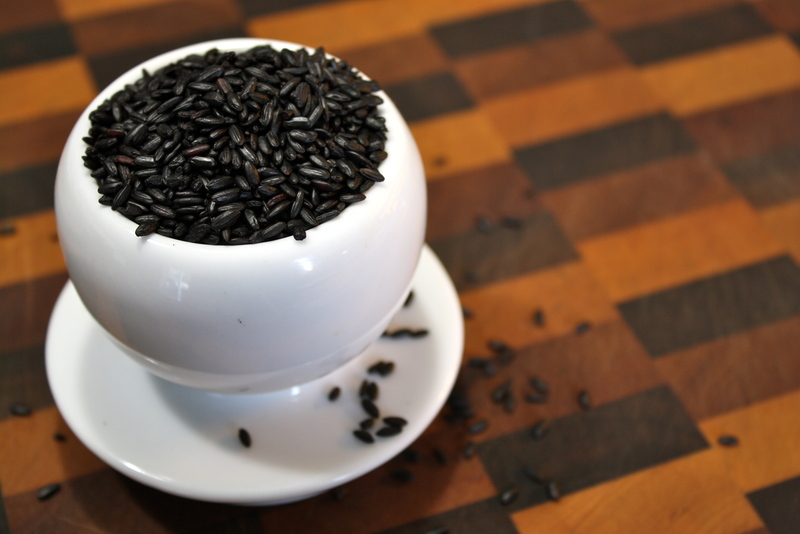 In a small sauce pan, combine rinsed black rice with 1 cup of liquid. Bring to a boil, cover and simmer on low heat until tender, about 30 minutes. Remove from heat, drain any excess liquid and set aside. 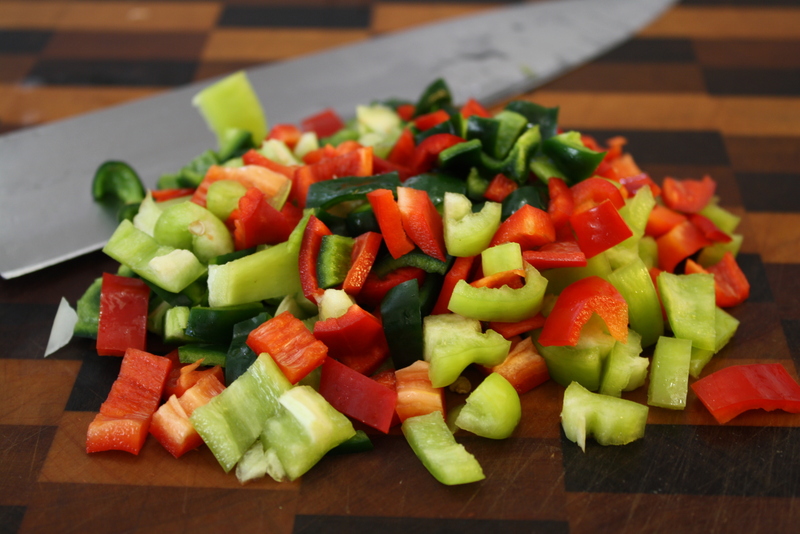 In a medium soup pan, saute onions and peppers until soft. Add curry paste and stir to coat. Add tomatoes, chicken, chicken stock, and coconut milk and simmer for about 20 minutes. Add cooked rice and return to a simmer. Remove from heat. Add cilantro, lime juice and Fish sauce. Stir well. Ladle into bowls. Garnish is additional cilantro. Add a spoon of Garlic Chili sauce on top. Enjoy!